Copper and fibre cabling – often underestimated – are the heart of any network. Correct design and implementation of your structured cabling installation will ensure years of reliable service as well as minimising future costs. Incorrect design and deployment can cause frustrating failures and increased cost of change in the future. As a structured cabling provider throughout many businesses and managed buildings across Essex and London, we provide fixed price quotations for complete cabling solutions. We provide support and maintenance services for planned and ad hoc cabling infrastructure changes. We currently have contracted engineers in London, providing moves & changes and first line support for cabling and voice/data systems across a number of our clients’ buildings. 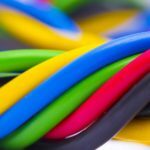 Working closely with the manufacturers, our cabling solutions enable us to source, provide and install the very latest in performance level copper and fibre cabling products. We are uniquely experienced in designing and deploying generic sub floor systems within commercial office spaces, which can also help to generate additional revenue for landlords. Our team are highly experienced in delivering structured cabling installation solutions in almost any environment, from small works/moves and changes, through to design and delivery of cabling infrastructure for HQ Buildings. We can operate and deliver across all sectors - a number of our existing staff carry SC clearance for security controlled environments such as Police Stations, Prisons and MOD sites. Stay up to date on the things that we like to share, such as IT tips and tricks, business news and company updates. We’d love to speak with you about your IT, telecom, mobile or security issues or concerns. Give us a call or email us! Line of Sight Internet: What is it, and What are the Benefits? Riviera Networks Ltd is registered in England & Wales. We’d love to speak with you about your IT, telecom, mobile or security concerns. Give us a call or email us!